Outdoor Adventures programs have limited spaces available. To ensure you get a spot, be sure to register early. Mary Grodman, Program Director and Adventure Guide, has a degree in Environmental Science & Criminal Justice from Richard Stockton University in New Jersey. She has been an outdoor educator for Community Schools since 2003. Mary is currently certified as a Backpacking & Canyoneering Guide through the International Wilderness Leadership School (IWLS). She holds Single Pitch Rock Climbing Instructor, Wilderness First Aid and Basic Water Rescue certificates. Mary is also trained in CPR, Food Handling and Leave No Trace Guidelines. Polly Tanner, Adventure Guide, spends the school year at Manzanita Elementary School's Library where she has been encouraging & inspiring book-readers for 23 years! When she does manage to get some time outside, she spends it trail running around Tucson, finding new hiking adventures, and camping along streams and wild woody mountains around Arizona. Polly is certified in First Aid, CPR & Leave No Trace Guidelines and has worked on perfecting every detail of our trip itineraries and camper journals since 2013! Blake Hinson, Assistant Adventure Guide, is the newest member of our team! He is a teacher at Catalina Foothills High School and loves hiking, camping, and recreating! He recently moved to Tucson from Colorado where he worked for Rocky Mountain National Park for 8 years. He has an undergraduate degree in Science from Colorado State University and a Master’s Degree in Education from University of Northern Colorado. During his free time, he loves to run, bike, and swim. 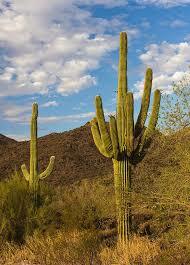 He is excited to share his new knowledge about the Sonoran desert and all the great outdoor opportunities it presents! 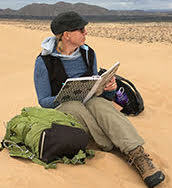 Amy Orchard, Adventure Guide, has been an environmental educator since 1992! She worked at Arches National Park as an Interpretive Ranger, at numerous river companies, and as an Educational Specialist at the Arizona Sonoran Desert Museum since 2000. She loves yoga and working with her Jr. Docents at the Museum. Amy is certified in CPR and a Wilderness First Responder. Our scale begins with one hiker, which means low to moderate exertion. Participants should be capable of moving or hiking for several hours at a stretch with short stops every hour. Participants should be in good health! Our scale ends at four hikers, to which only the highly experienced outdoor enthusiast should register. Good health and hiking or backpacking experience is required. These trips may contain 6-8 hours of walking per day and often involves carrying your own gear. Participants must be able to carry up to a 30 lb pack for up to 5 miles throughout the duration of the hike, while maintaining the pace of the group. Please read each trip description carefully and email us (mgrodman@cfsd16.org) if you have questions before you register. We can help match your child with the correct trip for his/her level. We offer a wide variety of outdoor adventure programming for students of all ages. Our trips vary, depending on the time of year, from day trips, overnight excursions or week-long out of town adventures. We provide challenges that expand horizons and enhance the lives of youth through wilderness education and outdoor exploration. Our nature-based education can be geared towards meeting a wide variety of national or state academic standards. The Outdoor Adventure Program promotes and instills a healthy self-awareness and self-confidence, pushing one’s limits and learning respect for others and the environment. Our Outdoor Adventure program is here for anyone who has ever wanted to venture outside and experience all that the outdoors has to offer! Looking for a WILD backcountry experience with towering cliffs, flowing water and a rich diversity of flora and fauna? Come to the Gila River Wilderness where we will enjoy views from the bottom of steep-sided canyons cut by shallow rivers, camp in forests of ponderosa pine, visit caves and hot springs in this truly unique area of New Mexico.Trails are relatively easy, following stream valleys bordered by cliffs and flat-topped mesas. This area beckons adventurers who yearn for solitude and scenic splendor! Along the trail we will see Native Mogollon cliff dwellings and ruins! We will spend time during our trip prepping for the 2-night backpack portion; packing our backpacks and learning the skills you need to survive in the backcountry! Learn to read maps, how to be a good team member and a great leader, safety and emergency procedures and Leave No Trace Principles. Backpacks for use during overnights may be available upon request. A detailed trip itinerary and pack list will be emailed prior to departure. 3-6 mile hikes daily, 1500-2000 ft in elevation change. Moderate physical exertion sustained for longer periods of time. Supportive soled shoes required. No flat soled shoes permitted. Suitable for those with moderate outdoor experiences. Students should have some experience hiking prior to this camp. Join us for a week of adventure as we escape the Tucson heat & head up to Mt. Lemmon. Hike different trails each day ranging from 3-6 miles on Monday, Tuesday & Wednesday with day trips up the mountain. Thursday will be our overnight campout. Learn outdoor survival skills, knot tying, orienteering & map reading skills, observe wildlife & keep a detailed journal of your discoveries. Please bring a sack lunch, snacks & a sturdy hiking backpack with the ability to carry at least 2 liters of water each day. A pack list will be emailed prior to the start of camp. Suitable for those with beginning outdoor experiences. Join CS Outdoors for a fantastic introduction to the outdoors and wilderness adventure! Discover the uniqueness of different National Parks and famous adventurers that help protect these amazing spaces. Discuss hiking etiquette, Leave No Trace principles, survival skills, including how to build a shelter and our native desert ecosystem. 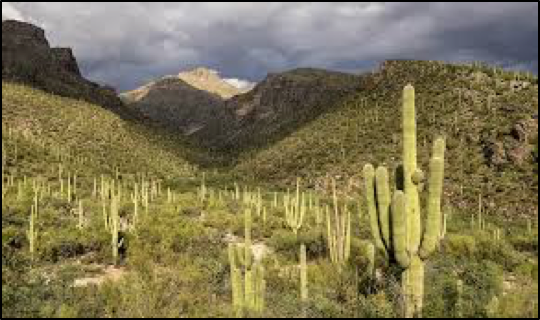 Observe and enjoy the natural environment as we encounter desert plants and signs of wildlife on our Friday hiking adventure to a local park. Suitable for those with moderate outdoor experiences. Students should have some experience hiking prior to this camp. Get ready for a great adventure to the amazing world wonder of the Grand Canyon! Discover unique combinations of geologic color & erosional forms that decorate a canyon that is 277 river miles long, 18 miles wide & a mile deep! When we hike under the rim, the Grand Canyon will overwhelm our senses through its immense size and beauty! 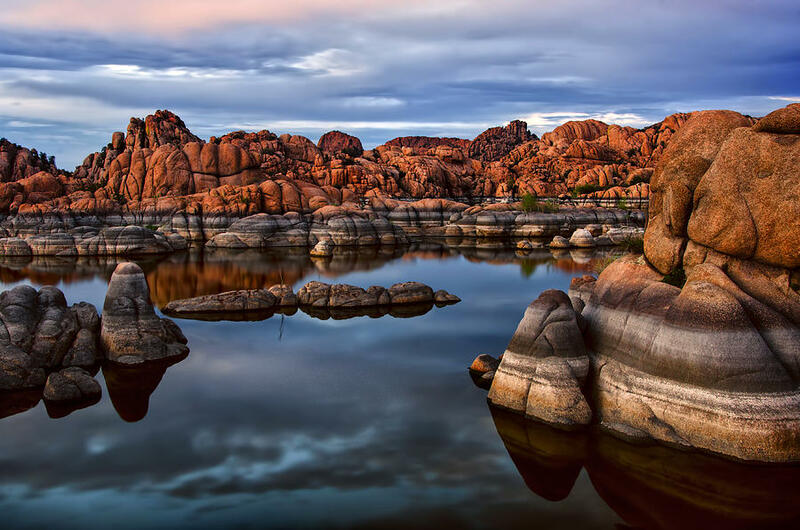 Our adventure trip will make a stop in the small mountain town of Prescott as we camp lakeside near the Granite Dells, known for its unusual large boulder outcroppings of granite that have eroded into spectacular bumpy rock features! Learn team building & leadership skills along with geology, biology & history this week! All food & equipment will be provided. A detailed trip itinerary and pack list will be emailed prior to departure. Journey with us to heart of red rock country! Visit Escalante National Monument in Southern Utah to explore world famous slot canyons; some slot canyons can measure less than 3 feet across! 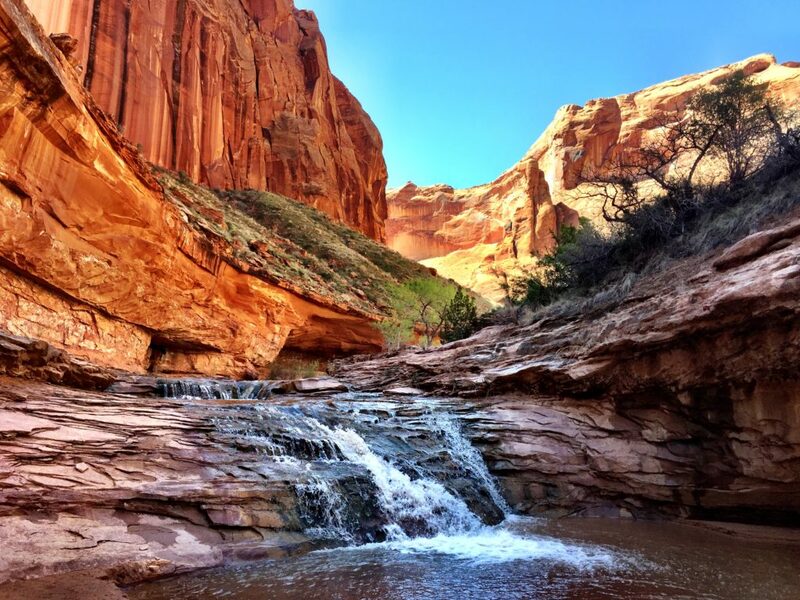 Hike to an amazing waterfall in Calf Creek State Park and make a stop where color and beauty prompted a National Geographic photography expedition in Kodachrome State Park - there are 67 monolithic stone spires and sandstone layers that reveal 180 million years of geologic time. This week is gonna rock! Learn leadership, team building, camping & hiking skills while we practice Leave No Trace techniques! All food & equipment will be provided. A detailed trip itinerary and pack list will be emailed prior to departure. 3-6 mile hikes daily, 1000-1500 ft in elevation change. Moderate physical exertion sustained for shorter periods of time. Supportive soled shoes required. No flat soled shoes permitted. Suitable for those with beginning to moderate outdoor experiences. It’s all about day hikes with a treasure hunting twist! Mt. 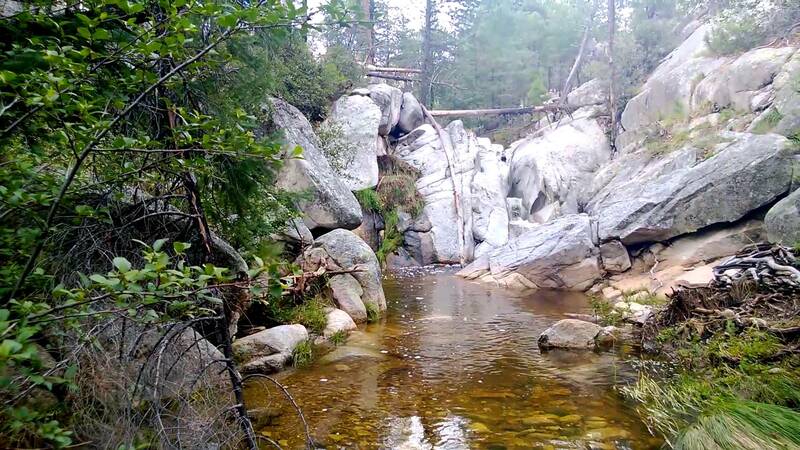 Lemmon is not just a great place for day hikes, it’s a Geocacher’s dream! 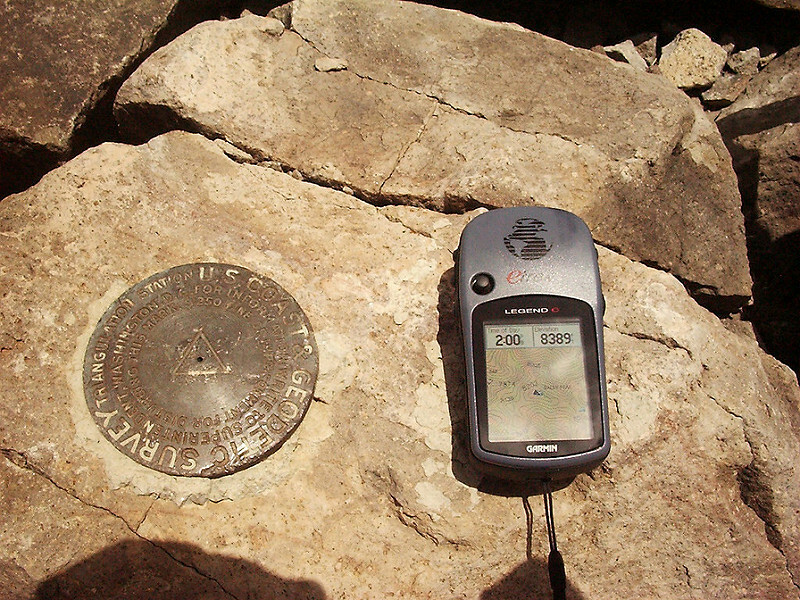 Who knew some of the most popular hikes have geocaches hidden along the way? Learn to program, read and navigate with a handheld GPS device so these secret treasures can be yours! We will also learn and practice “Leave No Trace” by Caching-In and Trashing-Out, making sure to leave our mountain cleaner than we found it. A supply list will be emailed prior to the start of camp. 3-8 miles, 1000-1500 ft in elevation change. Moderate physical exertion sustained for longer periods of time. Supportive soled shoes required. Suitable for those moderate outdoor experiences. Suitable for those with beginning to moderate outdoor experiences. This week will explore the Trail of the Ancients, a National Scenic Byway, located in Colorado and Utah! 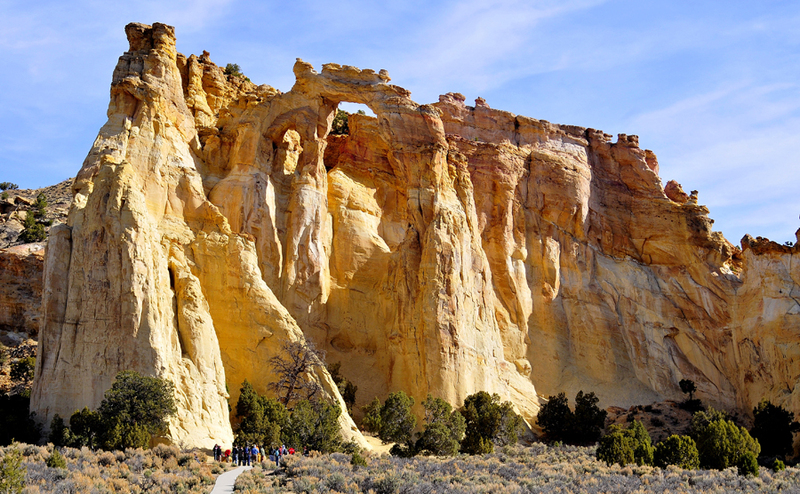 Our route highlights the archaeological and cultural history of southwestern Native American peoples as it traverses the widely diverse geological landscape of the Four Corners region. 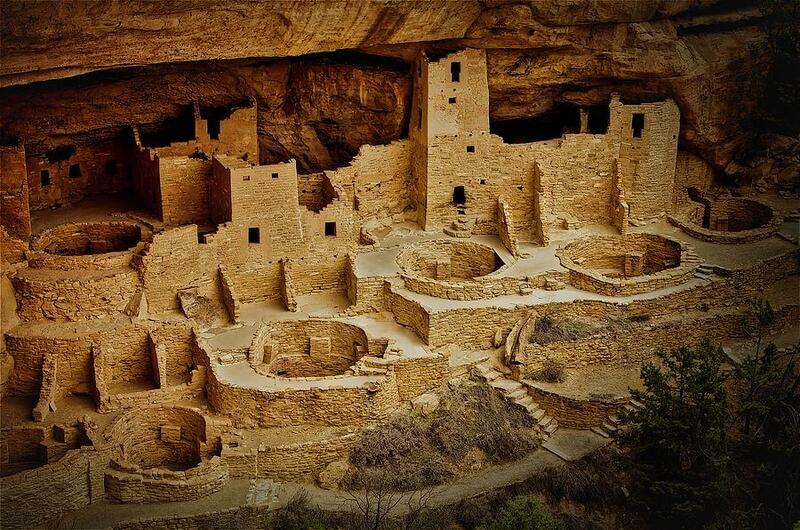 From our camping home base in Cortez, CO we will hike into the Canyon of the Ancients, tour Chimney Rock National Monument and climb ladders to hidden cliff dwellings in Mesa Verde National Park! 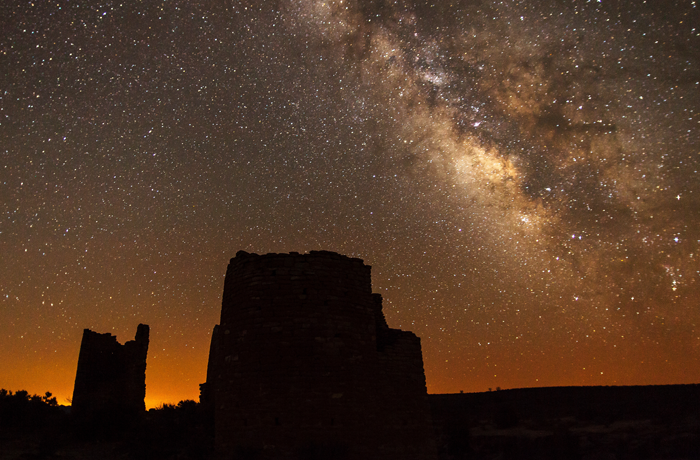 To top it off, imagine gazing up at the night sky from ancestral pueblos in Hovenweep National Park like Native Americans would have done 800 years ago! End your summer discovering the diversity of Native Nations and the value of indigenous knowledge!All food & equipment will be provided. A detailed trip itinerary and pack list will be emailed prior to departure. 4-8 mile hikes daily, 1500-2000 ft in elevation change. Moderate physical exertion sustained for longer periods of time. Supportive soled shoes required. Suitable for those with moderate outdoor experiences. Must have prior camping and hiking experience! This week we welcome Amy Orchard, Education Specialist from the Arizona Sonoran Desert Museum, as we empower ourselves to become leaders for a shared planet! Learn how water usage impacts the flora, fauna & ecology of our region & outdoor survival skills as we prepare for a backpacking trip! During our travels we will visit Fool Hollow State Park, Petrified Forest National Park & backpack into magical Canyon de Chelly! Learn about the importance of water from the leaders of the Dine Tribe & discuss their roles in water allocation & protection. 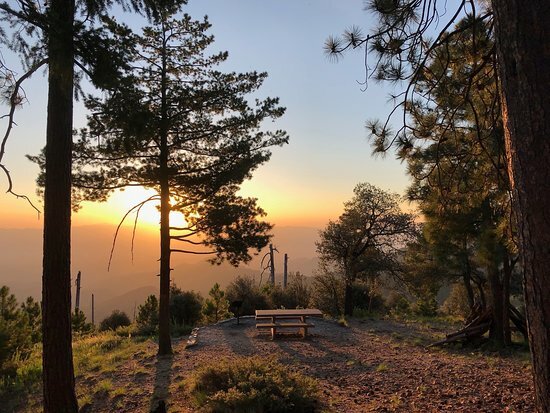 Hands-on research conducted by students as we camp, hike & backpack will give them an awareness of the interdependency of all living things & create a sense of wonder surrounding the ecosystems of the Southwest. Students must be able to carry at least 20-25lbs on their backs. Food & tents will be provided. A detailed trip itinerary and pack list will be emailed prior to departure. Everyone on our Outdoor Staff is fun, friendly, helpful, and sincerely interested in making sure that your student has a great time on their trip! Feel safe sending your student with Guides who have certifications in Wilderness First Aid, Leave No Trace Outdoor Ethics, Basic Water Rescue, Backpacking & Canyoneering and Food Sanitation. Our staff is well versed about the geology, ecology and history of the areas in which we operate, and we enjoy answering questions and sharing our knowledge with your student. We pride ourselves in having good equipment and taking care of it. We also work continuously to implement new and innovative ideas that make our trips even better and more comfortable for everyone. We keep our trip enrollment numbers small so we can put a personal touch on every adventure trip. We strive to make sure everyone receives individual attention! Camp food will be abundant and delicious, nutritious meals are served throughout our 5-day trips and always with some help from the students. We provide a pack list & itinerary for each trip, so you and your student know what to expect. Our motto is Fun, Adventure & Education; Community Schools Outdoors can meet all your child’s outdoor adventure needs! Check back often to see our current offerings! Email us with any questions.